This ground-breaking new book will reveal the story of Australia’s greatest political crisis with fresh interviews, the discovery of new archival material and a dramatic reinterpretation of events that will surprise readers. 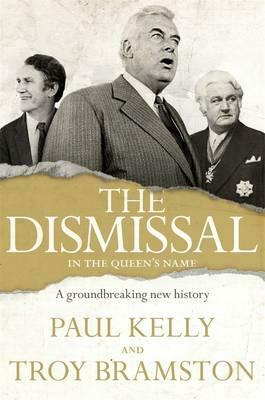 The treasure trove of new information already discovered by Paul Kelly and Troy Bramston deepens our understanding of what we know about the Dismissal, reveals startling new information and contradicts some recently published claims. This fresh new account will be dispassionate in its analysis, vivid in its narrative and brutal in its conclusions. It will divulge the role played by key political, judicial and vice-regal figures. It will expose the true motivations, the extent of the deceit and the scale of the collusion. It will recount the stunning climax on Remembrance Day 1975. And, for the first time, the book will reveal what happened next, as a second crisis began to unfold. Troy Bramston is a senior writer and columnist with The Australian and a contributor to Sky News. He has worked as a policy and political adviser in government, opposition and the private sector. He is the author of two previous books: Rudd, Gillard and Beyond (2014, Penguin) and Looking for the Light on the Hill: Modern Labor's Challenges (2011, Scribe). He is the also editor of four books: The Whitlam Legacy (2013, The Federation Press), For the True Believers: Great Labor Speeches that Shaped History (2012, The Federation Press), The Wran Era (2006, The Federation Press) and The Hawke Government: A Critical Retrospective (with Susan Ryan, 2003, Pluto Press).